In the second of a series of articles on players with one Ireland cap, Denis Hurley tells Declan Whooley that while his international debut was a proud moment, 2009 was something of a bittersweet year for the Munster man. 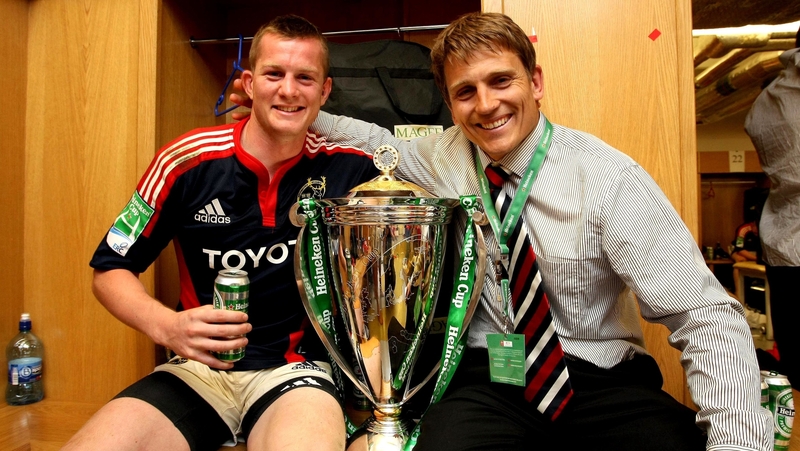 Denis Hurley's rise to prominence in professional rugby took him by surprise. In April 2008, Munster head coach Declan Kidney raised some eyebrows with his team selection for the upcoming Heineken Cup quarter-final clash away to Gloucester. Shaun Payne had started all six pool games that saw Munster top a group containing Top 14 runners-up Clermont Auvergne, defending European champions Wasps, and a Llanelli Scarlets side who eliminated Kidney's men in the last eight the previous season. Having never previously featured in a match-day squad in the Heineken Cup and with just five Magners League appearances under his belt, the 23 year old was entrusted with the 15 jersey. He would keep hold of it and make people sit up and take notice as Munster became kings of Europe. The fifth day of April 2008 would alter Denis Hurley's career path. In front of 16,000 spectators at Kingsholm Stadium, he showed why Kidney had put so much faith in the callow back. He nearly got in for a try, made a potentially try-saving tackle on James Simpson-Daniel and contributed to Munster's quarter-final win with a sublime grubber kick that set up Doug Howlett's 62nd-minute try. He admits that game is "probably" the career highlight – his father had no match tickets but quickly made the journey cross-channel and was there to cheer on his son – while the final itself was the icing on the cake of a dream season. If that was the crest of a wave, the following season was a considerable trough. By his own admission his form was not good. "My aspirations were hit by a lack of confidence. That put me backwards and I lost a lot of momentum." The Ireland camp was always the ambition, but Rob Kearney and Felix Jones were ahead in the pecking order. So too was Geordan Murphy, but the real issue was an internal one. 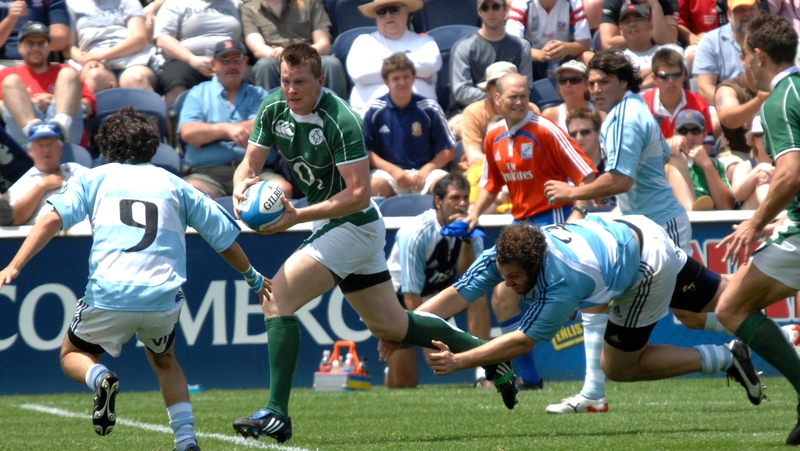 The Lions tour of 2009 opened the window for Cork man to don the green jersey for the summer tour of Canada and the United states. At the Thunderbird Stadium he was consigned to a watching brief as Ireland coasted to a 25-6 victory over the Canadians. A week later in Santa Clara, Hurley became a full international when he was introduced as a blood replacement for Darren Cave, with 12 minutes remaining. "It was a real buzz to get on. It was sheer joy getting the cap and getting the congratulations from your team-mates"
There were no family or friends present, but it was another landmark step in his professional career. "It was a real buzz to get on. It was sheer joy getting the cap and receiving the support from your team-mates. Having that jersey was special. It was such a special thing to get, but as a professional, you want more." The summer tour was a bright ending to the season, but in truth, he was simply glad it was over. A year on from Munster glory in Cardiff, he was now questioning his ability and decided a change in position could be the best course of action. "I just had such a lack of confidence at full-back. I was just not catching balls. I remember trying to readdress with myself and the coaches to get back to the level I knew I was capable of reaching. That's why I switched to the wing." By his own admission he wasn't a fleet-footed winger with pace to burn. "I'm quick, but wouldn't be as agile as other guys. 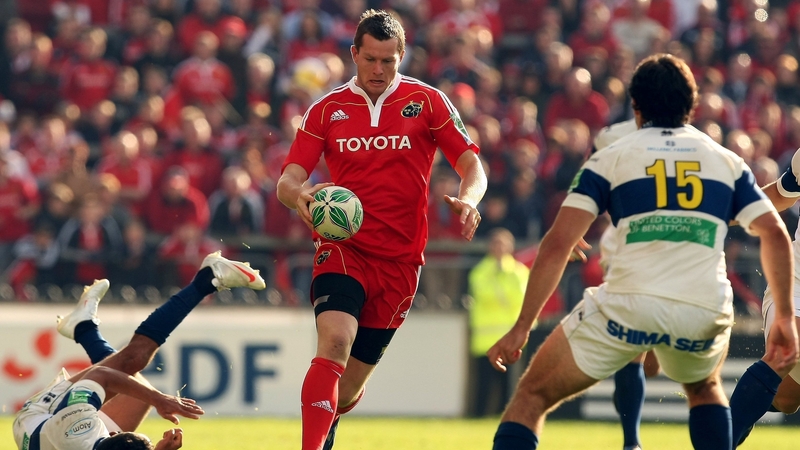 I was more of a Shane Horgan-esque, physical winger with long levers." I went through a period where I was comparing myself to other players and what they could do well until I came to the realisation that the more I do that, the more it effects my game. "On a personal level I learned a lot about myself in that period of time. A lot of it is perseverance and trying to reinstill what your best attributes are. I went through a period where I was comparing myself to other players and what they could do well until I came to the realisation that the more I do that, the more it effects my game. It came down to, 'what does Denis Hurley do best?' I needed to focus on my strengths, and alongside that work on my weaker areas." The change in scenery was a double-edged sword. He regained his confidence at provincial level, but he wasn't doing his international chances any favours. The momentum in a green jersey had been lost. Hurley had also curbed some of the attacking instincts that helped propel him into the Munster limelight in the first place. "Some of the things I did in 2008, I didn't do them two years later. I just had it in my head I couldn't do those things anymore. As a young, carefree player, I was gung-ho." 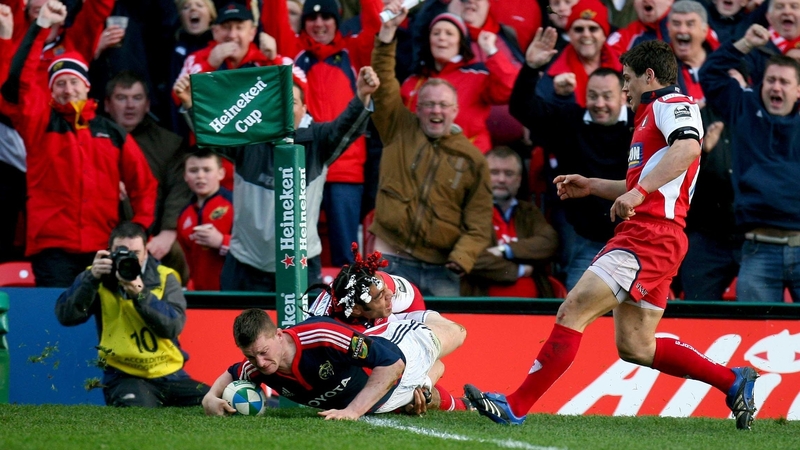 Like that moment of magic in the Heineken Cup quarter-final? "Yeah, that was off the cuff. A lot of games I played, especially at club level, I would have tried kicks like that, but I look back on a four, five-year period where I didn't do it anymore. It had a big impact on how I perceived myself. I lost a bit of touch for what I had done." He acknowledges now that he was "probably" too hard on himself, but back then he was in a different head space. 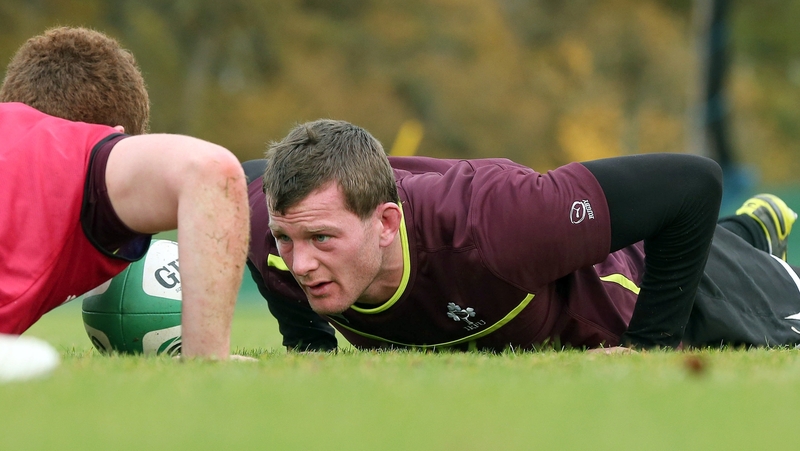 In 2010 he started in the historic win over the Wallabies at Thomond Park, the same year he ruptured his hamstring. He was struck down with the same injury the following year. International honours followed in the form of the Wolfhounds – nine caps in four years – but was more comfortable in his skin in the red jersey. A one-year extension deal was signed in January 2015, but it would prove to be his last. 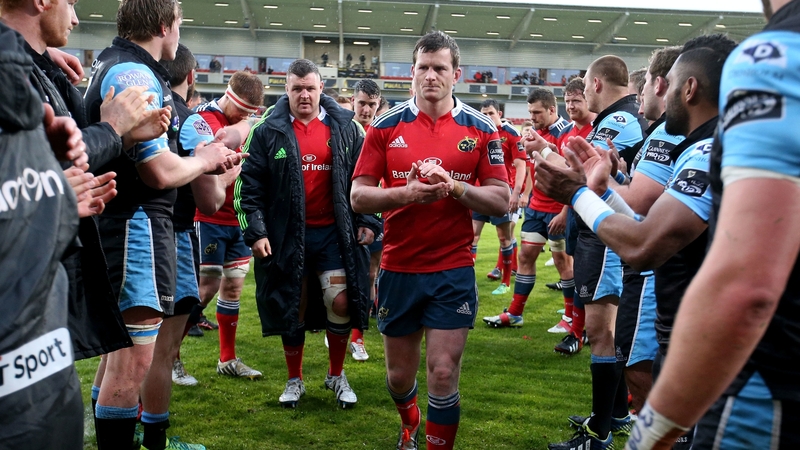 Hurley captained Munster in the 2015 Pro12 Grand Final defeat to Glasgow in what was Paul O'Connell's final game. In pre-season he damaged his ankle, and followed this with repeated calf tears, four in six months to be precise. He had never in his career required surgery, but now his body was giving up on him. He questioned his overall approach. With a newborn child, was he sleeping enough? Was the nutrition right? Was he rehabbing right? His contract was due to run out in June, but he had left the building by February of last year. Nine months after leading his team into battle in a final, he was done. While processing what post-rugby life would entail, he had the welcome distraction of adjusting to being a first-time father. "Most new dads don't get that opportunity and experience of being hands-on during the week. I appreciate having had that time." A new start was needed. The family decided to up sticks from Cork and move to Dubai where Hurley took up a role in a sports academy working with teenage elite athletes. A coaching role with Dubai Exiles kept his links with the game, and while he got a better idea of where he wanted to advance his career, it was a great experience and lifestyle change for the family. "What I found lovely out there was that everyone out there helps the new arrivals. Lending advice, putting you in contact with someone, helping to find work, or just meeting for a chat, it's very refreshing. It's genuine. "You come back to Ireland and as nice as it is to be back, you realise how interested people really were in you in Dubai. Here, people find themselves in their everyday routine. You see a different side to things. "It's not bad. There are a lot of positive things around where you are living, it's just a matter of getting involved with your community a lot more. That's one thing we have brought back with us." Now based in Dublin, Hurley is Operations Manager in Rugby Players Ireland. "The day-to-day operations, implementing policies and processes, it's something I feel can draw on from my playing days."